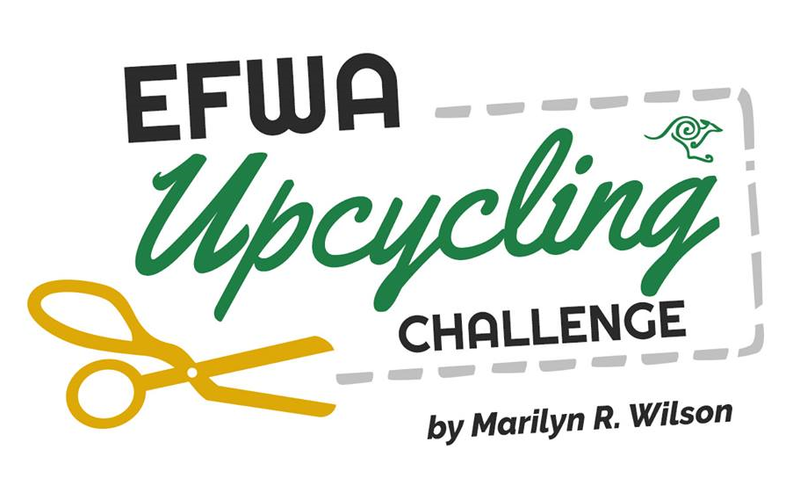 The first ever EFWA Upcycling Challenge by Marilyn R. Wilson hit the runway at Eco Fashion Week Australia in Perth on Sunday, November 26th, 2017. It was a hands down success. The appreciative audience let it be known that this show knocked it out of the park. I could not be more grateful to the 21 young, talented designers from 12 countries who offered their artistry to make this show what is was. 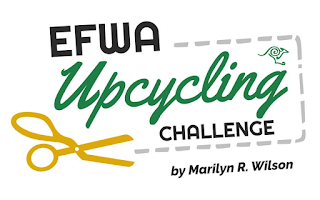 And thanks to EFWA founder Zuhal Kuvan-Mills for sponsoring this show which allowed me to step away from my front row seat covering events and try my hand at curating a show of my own. There were many times I felt over my head - such as selecting music and fitting models with garments I hadn't made myself - but it all came together in the end. True to my passion for interviewing, each garment held the story of the designer who created it and the models were fascinated to learn about the artist they were representing. It helped them own the looks they wore. Below please find a short about section on each designer, the school they studied at if applicable and their social media links. 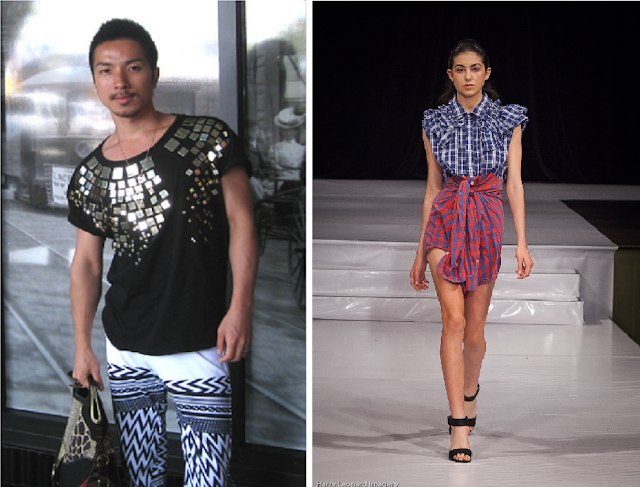 With that is a designer photo and one image of their final runway look. Enjoy! Alex S. Yu (London, Vancouver Taipei) – Interview HERE! About – ALEX S. YU’s aesthetics rollick the happy emotions of childhood, nostalgia and wanderlust; and ponder the very definition of femininity in a modern, quirky way through garments.d unusual silhouettes while mixing and using different colours and fabric weights in one garment. Aloke Kumar Singh, Micronesium & ESEDS (Kolkata) – Interview HERE! About – Miconesium sources scraps and leftover cloth from export houses. Khadi and organic textiles are then combined with scraps of other material. The label is an exercise in waste management. 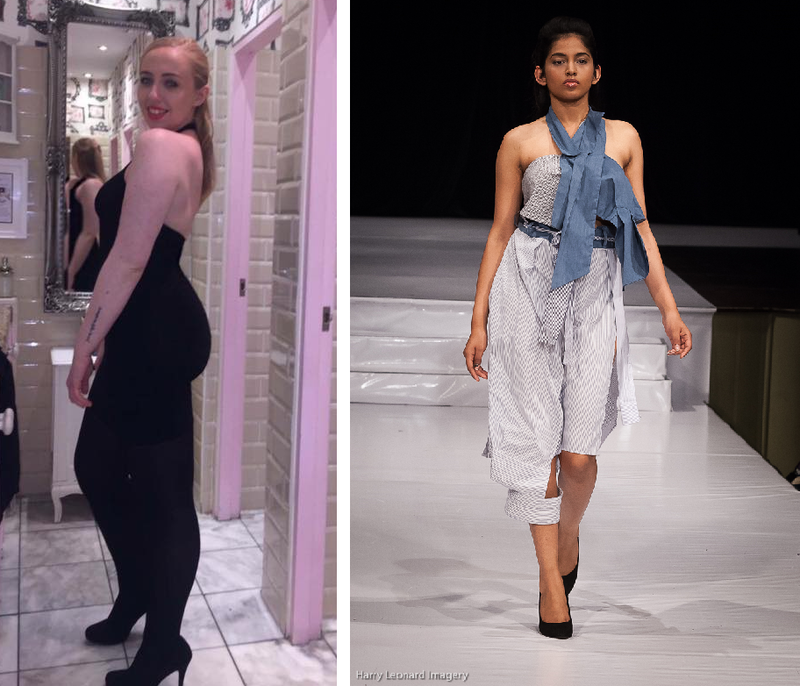 They also work with certified organic and sustainable fabrics which are dyed with different herbs, flowers and left over fruit skins and are working on a project with banana and bamboo fabrics and legitimate nonviolent silk. Amber Nifong (New York City) – Interview HERE! 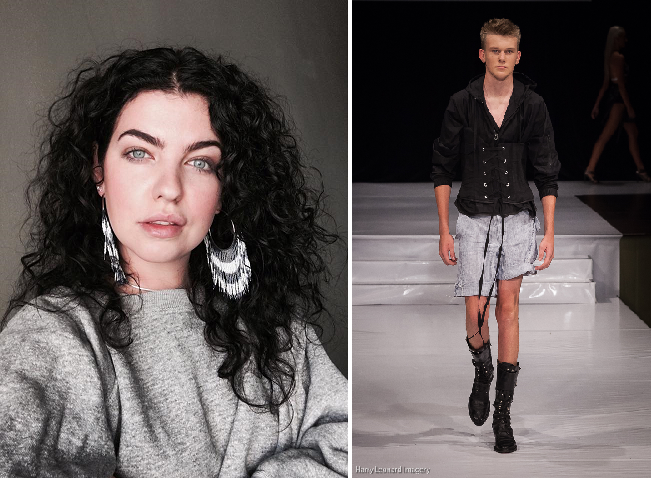 About – Amber Nifong is an NYC based fashion designer who would describe her style as “Haute Macabre.” Her aesthetic is one of high fashion with an emphasis on dark imagery, ideas derived from the occult, and macabre themes, but all with a romantic twist. Anita Heiberg, 13 Dresses (Berlin) – Interview HERE! About – Anita Heiberg has over 10 years experience as a designer and patterng cutter for numerous independent designers as well as her own eponymous label. 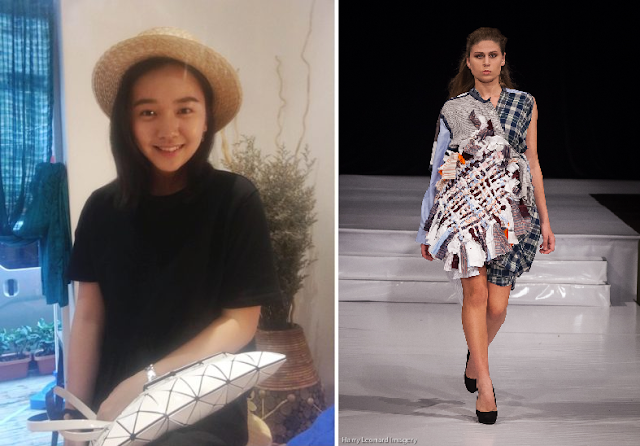 Most recently, she founded a unique interactive crowdsourced sustainable fashion design platform called 13 Dresses. The designer’s mission, to leverage technology to accelerate sustainable social and environmental change in apparel production. 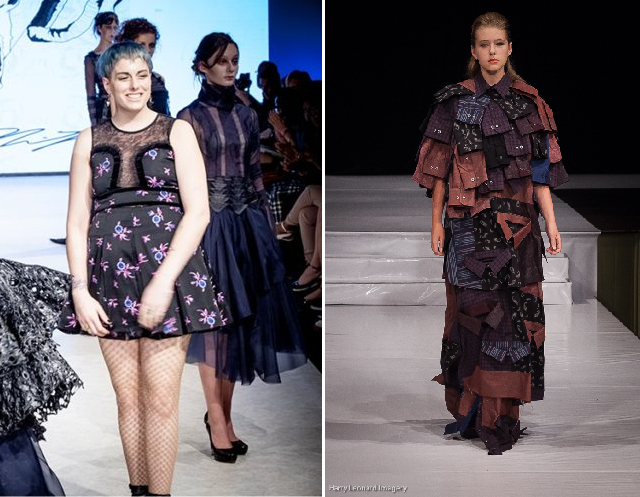 Studied at – Kwantlen Polytechnic Univessity, Central Saint Martins in London and Esmod Berlin. Camila Castillo, Camila X Castillo (Venezuela/U.S.) – Interview HERE! About – Camila Castillo’s work as a designer has always been influenced by the visual arts. She loves to work on a manequin, cutting and folding the material until she finds interesting geometric compositions that she adapts to the curves of a woman. Her innovative work also incoporates the usue of innovative technoloby such as 3D printing and laser cutting. Studied at – Neumann school of graphic design (very material oriented/bauhaus influence), followed by pattern making courses at seamstress schools. 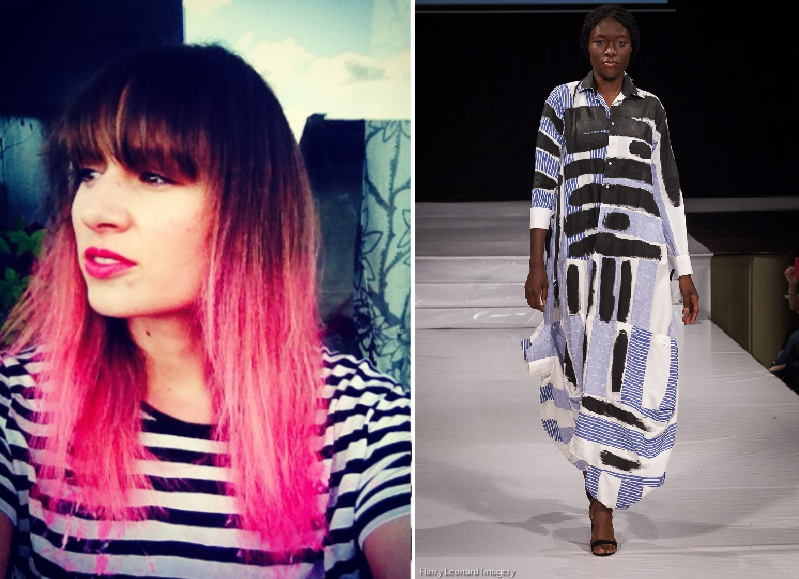 Charné Esterhuizen, MAAK Clothing (Canberra) – Interview HERE! Due to a mix-up backstage, Maak’s garment did not get put on the model properly, so we would like to share this image provided by the designer of her incredible look the way it is meant to be worn. 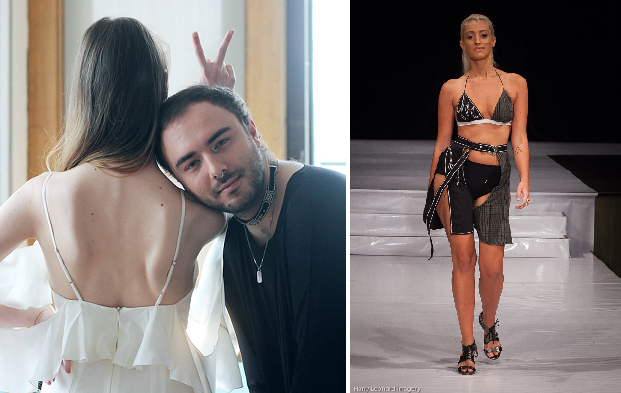 About – MAAK Clothing focuses on creating sustainable fashions for tomorrow by introducing 3d printing into our range of garments and accessories. The benefits are endless. Mass-customisation, local production, 3D printing and fabrics are combined and then detailed with tailored stitching lines, giving a stylish and unique look. 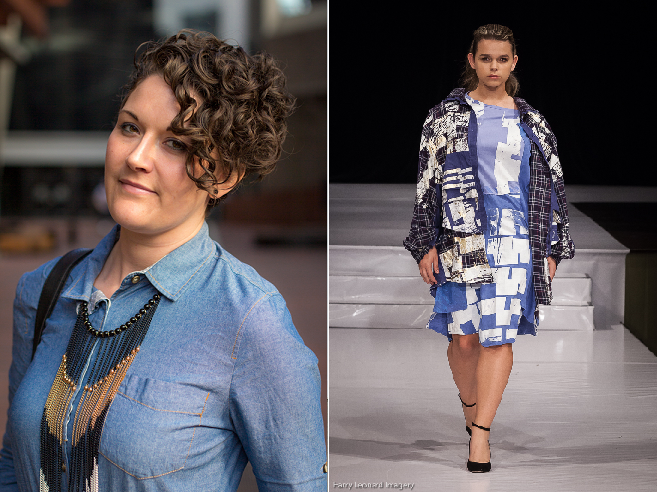 All garments are designed and produced locally in Canberra. Evan Clayton (Vancouver) – Interview HERE! About – Evan Clayton is a fashion designer highly skilled in both the art of tailoring and the fluidity of drapery who love to puch the boundary of the silhouette. He strives to marry art and fashion in such a way as to create political, personal and artistic expression. Creative influences include psychology, modern pop culture, French history and a variety of performance artists including Marina Abramovic, Lady Gaga and Jonna Lee of iamamaiwhoami. Francesca Phipps (London) -Interview HERE! Studied at – De Montfort University (Leicester). 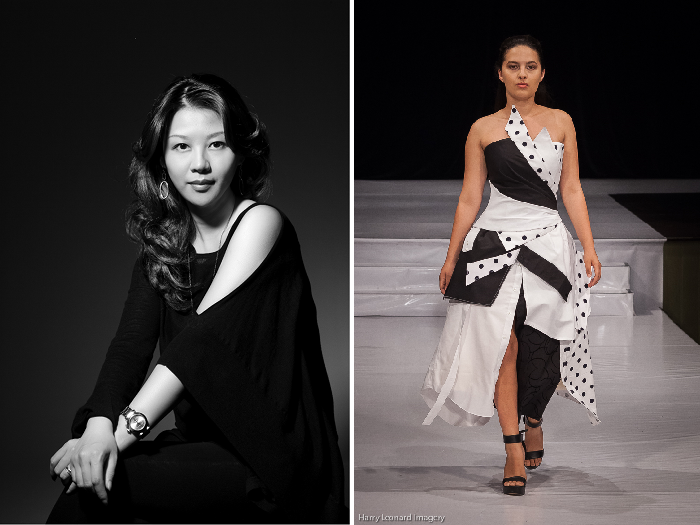 Jacqueline Zeyi Chen, Zeyi Studio (Guangzhou) – Interview HERE! About – Jacqueline Zeyi gets inspiration from issues in the society or within herself. 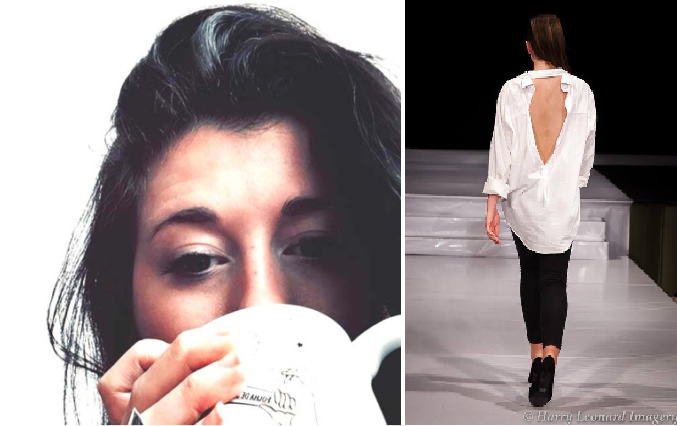 She uses fashion as an medium to express her point of view, bring awareness, and explore problems in life. Jessie Liu (San Francisco) – Interview HERE! 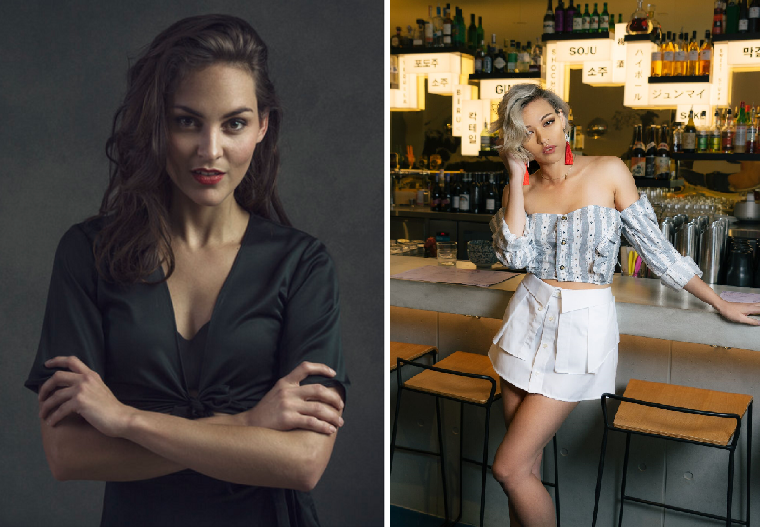 About – Jessie Liu designs timeless and innovative styles with flattering silhouettes which enhance the existing beauty and confidence of her clients. 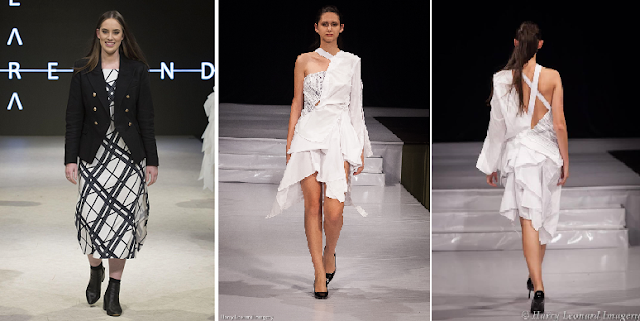 Style, function, beauty and freedom collide in her designs. Each season the designer selects luxurious fabrications and creates bold graphic prints that appear almost three dimensional amongst more muted tones adding balance to her eponymous RTW collection. Lara Ireland (Sydney) – Interview HERE! About – Lara Ireland is a Sydney based designer, with a focus on a conceptual approach to Sustainable applications and Design. Her collections are intimately hand-made and artisanal at the very heart.Lara markedly sets her philosophy around the basis of ‘Cradle to Cradle’ design – recycling materials and eliminating the impact on wastage and environmental conservation. Lauren Kemp, Lo Life Shop (Vancouver) – Interview HERE! 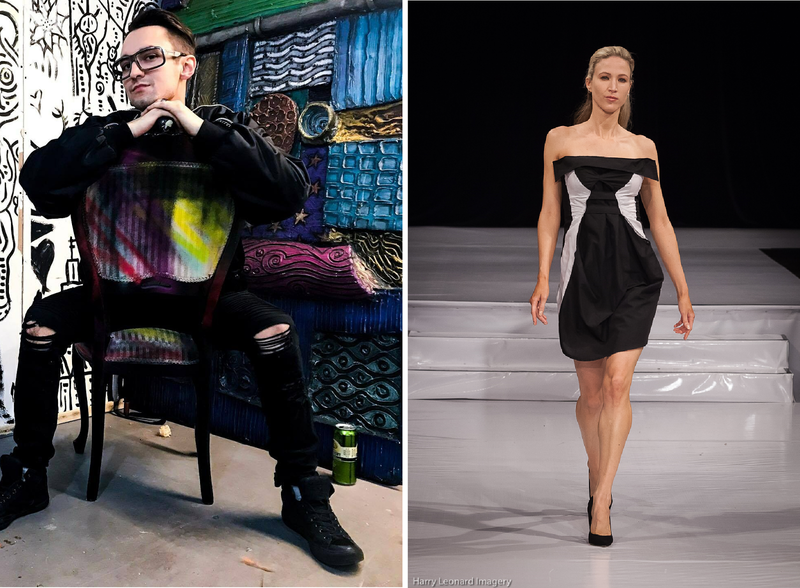 About – Designer Lauren Kemp describes the garments she creates as, “Repurposed Vintage Goods as Well-Loved and Worn In as your Soul.” She works to keep used garments from ending up in landfills by hand embroidering & re-purposing clothing remaking them into apparel you wear until it falls apart. Because of the hand detailing, garments aren’t “perfect” – they have character! Lesley Hampton (Toronto) – Interview HERE! About – LESLEY HAMPTON focuses on statement pieces and fashion forward accessories. By including diversity not only in every piece designed but also on the runway, the designer is recognized for critiquing the conditioned society, focusing on issues of the ideal female body shape and personal identity such as the female or aboriginal stereotypes presented by popular culture. About – Marketa Martiskova is currently working on setting up her own fashion and accessories label ‘STOP’ based in Antwerp. She looks to the world and identifies social distraction, day-to-day topics and global issues through designs. She is communicates through symbols, typography, prints and employed techniques.The designer creates eco-friendly and recycling based designs by using leftovers from production or even raw materials which could be regarded as waste.Her designs could be described like painting with textile. Ras Kasozi, Kas Wear (Kampala) – Interview HERE! About –Raz Kasozi is a self-taught fashion designer who began his passion at a very young age. 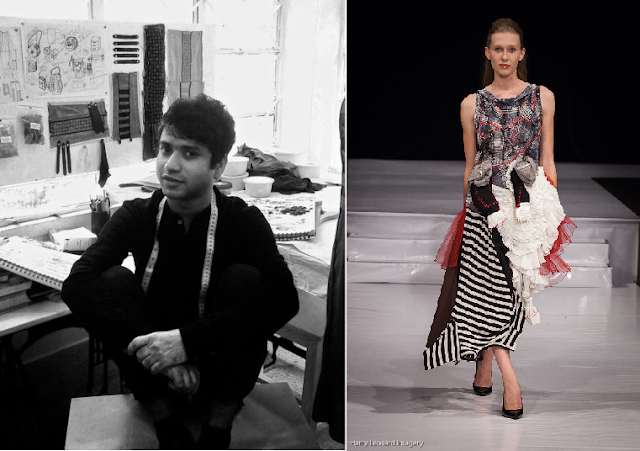 Lack of money led him to explore upcycling and the use of different textiles and materials to create the unique, one-of-a-kind looks that have become his trademark. 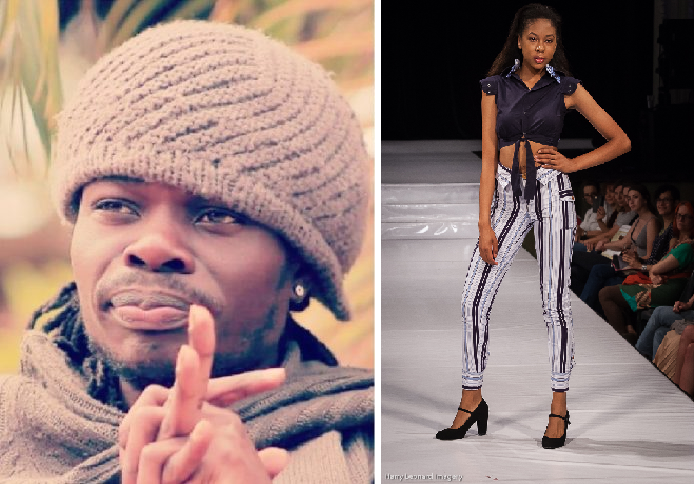 His collections have been shown on the international stage, he collaborates with established designers around the world and is partnered with the U.S. Mission Kampala on Skilled Expressive Entrepreneurial Designers Show (SEED), a project that promotes fashion and entrepreneurship. Sacha Cooper, Cooper Hotcooture (Luxembourg) – Interview HERE! Sam Stringer (Vancouver) – Interview HERE! 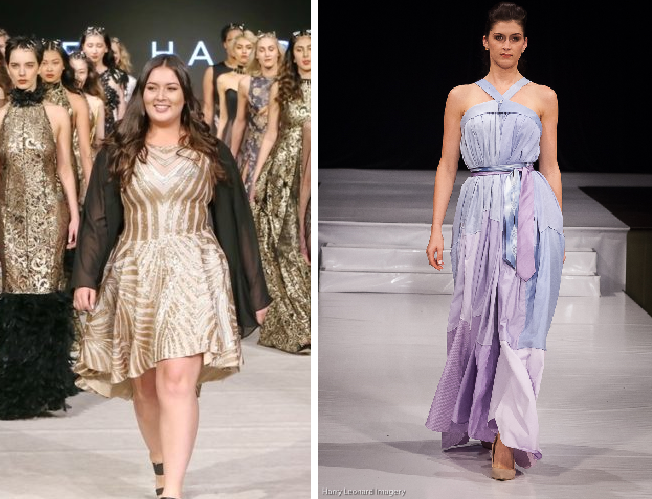 About – Sam Stringer is known for red carpet ready, one of a kind, elaborate and luxurious evening gowns that combine traditional mastery with modern aesthetic to create. Her silhouettes offer a wonderful fusion that celebrate both art and fashion. About – Armstrong creates ready to wear pieces for Men and Women, with an androgynous blur, at once loyal to the functionality of heritage craftsmanship and subversive in their welcoming of innovative details. The designer’s formal training in sculpture is immediately apparent in pieces that balance complex geometries with pared-down simplicity. 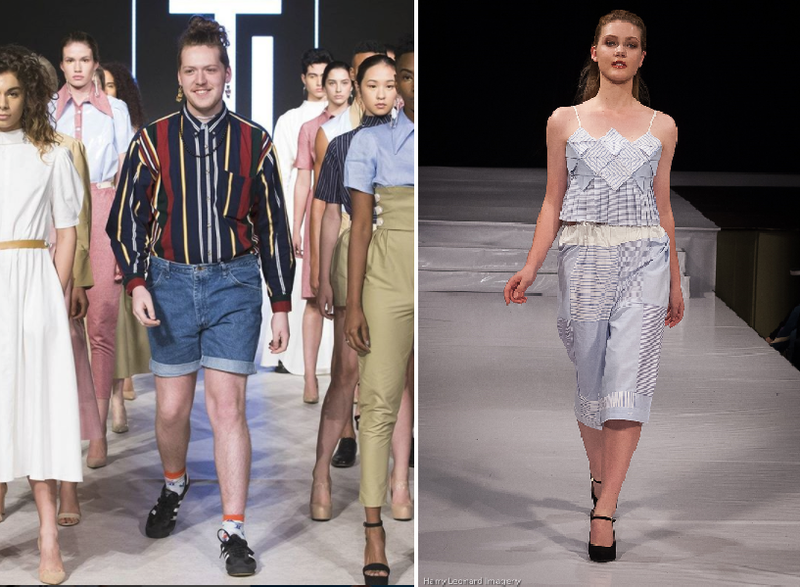 About – Canadian fashion designer Stevie Crowne, 22, designs his collections recycling top quality vintage and thrift styles. 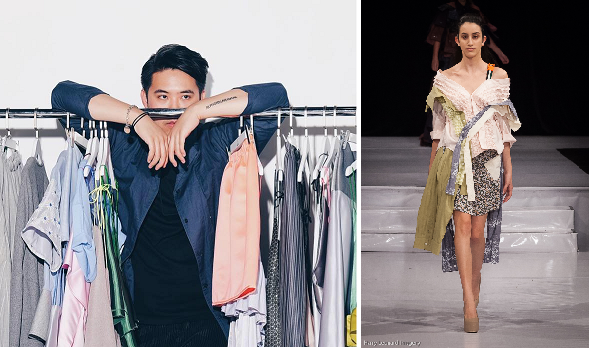 Deemed an Eco-Friendly label creating 2+ collections per year since 2011, he upcycles his findings into newer and more edgy-contemporary fashion garments. In this process, he breathes new air into vintage clothing by refurbishing the original idea into a new piece. Tieler James (New Orleans) – Interview HERE! 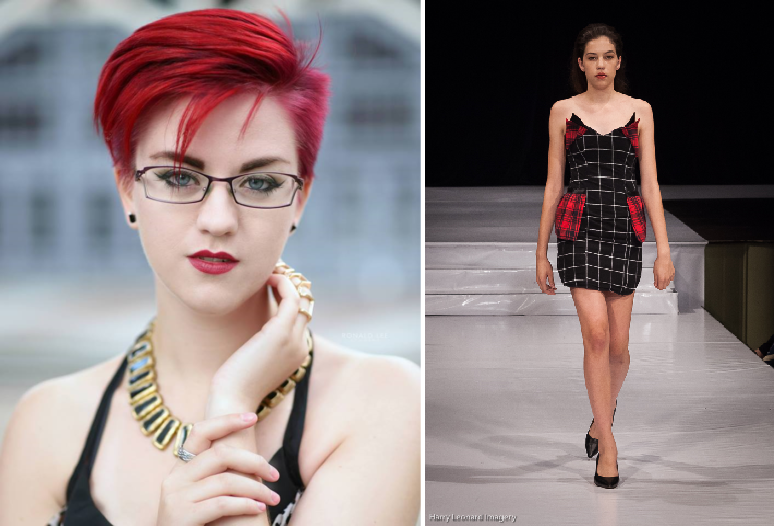 About – Tieler James was a finalist on Project Runway Junior and is the youngest designer participating. 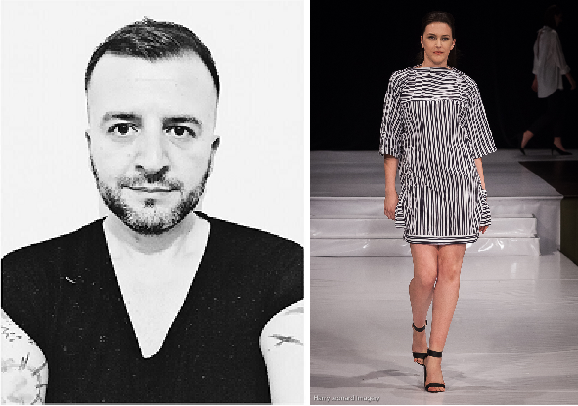 His vision is to design clothing for all women that will let them feel powerful and beautiful as soon as they are. Studied at – Self taught. James is still in high school. Yasuhiro Tomita of Rukus by Yasuhiro Tomita (Tokyo) – Interview HERE!